Thanks to Lynn Becker, a writer on Chicago architecture, for letting me use this image (which he created) and for bringing attention to a ludicrous situation that many architectural photographers have run up against in other places. 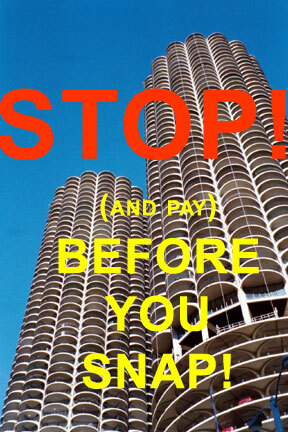 The condo association at Chicago’s iconic Marina City towers, in a move he describes as “equal parts loony and arrogant,” wants photographers to get the association’s “express written permission” to take pictures of the building. The association says that because of “the architectural significance of our building,” it holds a “common law copyright on the use of the Association name and building image,” under state and federal law. In fact, copyright is an area of federal law, in the U.S. and in Canada, and neither piece of legislation forbids taking and publishing pictures of buildings. 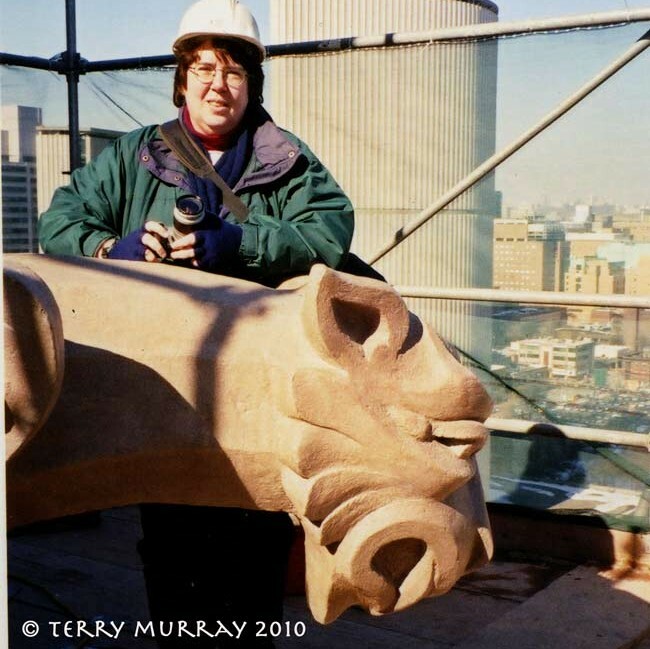 I had reason to check that area of Canada’s Copyright Act when I started shooting in earnest for Faces on Places when someone cautioned me against shooting her building. I know of at least one other Toronto architectural photographer who has also run up against that. For the full story, see Lynn’s ArchitectureChicago PLUS blog (see Links in the left column). Lynn (who I bet gets more mail addressed to Ms. Becker than I do for Mr. Murray) lives at Marina City and says the association board is going to vote on this groundless rule on 15 November. If it passes, he challenged the board to come after him for shooting and posting or publishing photos of the building. “If you’re so dead set on embarrassing the building, the board, its residents, and – come to think of it – the very notion of intelligent human life, I will be a willing co-conspirator in getting your buffoonery the widest possible audience,” he wrote. Glad to help you, buddy.